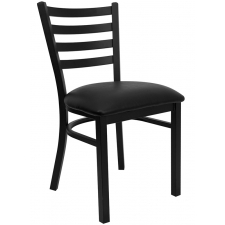 Sale Price: $85.99 + Free Shipping! 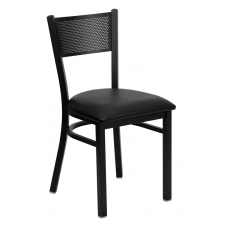 While it is well-suited for commercial functions, the BTOD Slat Back Breakroom Chair Dining Height  Natural Wood Seat is also great for residential use. The chair can support up to 250 pounds, and it comes with welded joint assembly for further support. 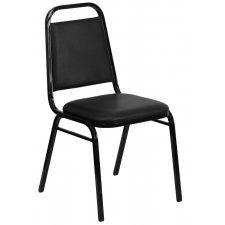 Some other advantageous aspects of this chair you are bound to love include an 18-gauge steel frame, plastic glides for the floor and a frame finish with a black powder coat. 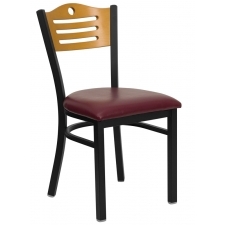 Impress your coworkers or employees with a high-quality, exceptionally-made chair.